(Jpost).A significant majority of the Jewish Israeli public is dissatisfied with the performance of Prime Minister Benjamin Netanyahu, according to a Smith Research poll sponsored by The Jerusalem Post to coincide with Thursday’s second anniversary of the government’s formation. It found that 30% of Israeli Jews considered the prime minister’s performance poor and 27% very poor. By contrast, only 11% said Netanyahu had performed very well, and 32% said well. About half the voters on the Right were satisfied, compared to only 21% of respondents on the Left. Likud supporters were overwhelmingly satisfied with Netanyahu, with 82% giving him a positive review, while only 17% of Kadima backers said they were satisfied. A similar poll a year ago found that only 68% of Likud supporters were satisfied with Netanyahu then. Voters describing themselves as haredi, religious or traditional were more likely to be satisfied than secular respondents to the poll – 50%- 56% compared to 33%, respectively. Asked whom they blamed for the diplomatic stalemate, 18% said Palestinian Authority President Mahmoud Abbas, 12% said Netanyahu, and 25% said both equally. Six percent said they blamed US President Barack Obama, 10% blamed Obama and Abbas, and 5% Netanyahu and Obama. The remaining 24% did not express and opinion. Among Arab respondents, most blamed Netanyahu. While right-wing respondents were more likely to blame Abbas than Netanyahu for the stalemate – 34% versus 12% – among leftwingers, 26% blamed Netanyahu and just 4% Abbas. Forty percent of left-wing respondents and only 11% of right-wingers blamed both. Most likely to blame Obama for the lack of progress were supporters of haredi parties. Of these, 19% held Obama solely responsible and 35% partially responsible, compared to Kadima supporters, among whom only 2% blamed Obama exclusively and 17% partially. (Jpost).A top Democratic member of Congress chastised the Obama administration Thursday for deploying sanctions against Iran merely in a “symbolic” way that he warned could signal weakness to Tehran. Earlier this week the State Department designated the Belarusian energy company Belarusneft, only the second time any US administration has imposed sanctions on a foreign company doing business with Iran. The first time was late last year against the Swiss-based, Iranian-owned energy company NICO. In addition, on Thursday the US Treasury on Thursday also sanctioned three vessels involved in illicit shipments for Iran. "During a time of turmoil in the Middle East it was crucially important to keep our eye on the Iranian nuclear ball at all times". In Thursday’s hearing, The Congressmen also challenged Steinberg on whether the US actions against Col. Muammar Gaddafi were helping clear a path for al Qaida, the Muslim Brotherhood or others contrary to US interests to operate in Libya. The US has acknowledged that they are not fully certain of the composition of the rebel group seeking Gaddafi’s ouster, and reports of al Qaida elements in Libya have surfaced. “We have to be attentive. We have to be alert. We know that al Qaida has had a presence in Libya in the past and we want to make sure it doesn’t re-establish there. But what we’ve seen so far is that this is not a significant factor,” Steinberg said. In fact, he said that Islamist groups are on the defensive because it was “democratic forces” that have been toppling dictators. (Globes).An opinion poll commissioned from Rafi Smith by "Globes" showed that the public is not bothered by the severe criticism of Prime Minister Benjamin Netanyahu's overseas trips, which were allegedly paid for by overseas donors. The poll found the Likud strengthening by two mandates from 27 to 29. Other right wing parties also fared well in the poll. Avigdor Liberman's Yisrael Beitenu climbed from 15 to 16 mandates, and Ichud Leumi was up from four to six mandates in the 120 seat Knesset. Shas remained on eleven mandates, while the New National Religious party remained on three mandates. The ultra orthodox United Torah Judaism party gains one seat from five to six. 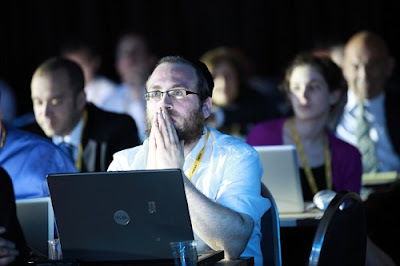 Moving to the opposition, Kadima would lose one of its Knesset representation from 28 to 27. All the left wing parties lost ground. Labor plummeted from 13 mandates to seven, while Defense Minister Ehud Barak's new Atzmaut party would not win any seats. Meretz slipped back from five to three seats. The "Globes" poll found the Arab parties increasing from 10 to 11 mandates. However, the poll did not take into account the possibility that charismatic figures like former Shas minister Arieh Deri and TV celebrity Yair Lapid may form independent parties. A poll published by Israel Radio found that a party led by Lapid could win nine seats and a party led by Deri could win seven mandates. Moreover, it is not yet known who will lead the Labor party into the next Knesset elections. Sarah, wife of Prime Minister Benjamin Netanyahu, granted a rare interview to Channel 2 television in which she asks the press to stop trying to hurt her husband through allegations against her. Netanyahu broke her long silence after State Comptroller Micha Lindenstrauss announced he would hold an inquiry into allegations raised by Channel 10. The channel claimed that in the period between Netanyahu's first and second terms as prime minister, he and his wife made dozens of trips abroad, and enjoyed luxurious accommodations. These accommodations were paid for by private businessmen who - allegedly - could become interested parties in decisions made by Netanyahu if he were to be re-elected as prime minister. "I decided to talk because I feel that there is no energy left for another assault, Again I stand before the public as a target. Again, they hurt the prime minister through me. This is vicious-evil gossip, which becomes a sort of permanent ritual of hypocrisy and sanctimoniousness. Enough. Enough already. This has to stop!" In the interview, Netanyahu claims that every Israeli politician should be investigated over their travel funding, saying that it was a standard and permissible habit. She added that there was no ethical problem with the couple's travels, calling the reports of special treatment disingenuous, "We travelled according to the standards of the former prime minister" . (via Haaretz, Ynet).Young Israelis are moving much further to the right politically, according to a Friedrich Ebert Foundation's Youth Study released on Thursday. The study found that 60 percent of Jewish teenagers in Israel, between 15 and 18 years old, prefer "strong" leaders to the rule of law, while 70 percent say that in cases where state security and democratic values conflict, security should come first. A similar picture emerges in the 21 to 24 age group. According to the data, the importance of democracy as a national goal among Israeli teens has dropped from second place in 1998 (26%) to third place in 2010 with just 14.3%. Meanwhile, the importance of "Jewishness" as a national goal has climbed from third place (18.1% in 1998) to first place in 2010 with 26%. Analysis of the data shows that a majority of Israel's youth (42%) believe that the Jewish-Arab conflict is the biggest threat to the State of Israel, Asked how they feel when they think of Arabs, 25% responded with "hate" and 12% responded with "fear". 57% of Jewish youth favor negotiations with the PA, As to the possibility of peace with the Palestinians, 72% of the Jewish respondents said they do not believe negotiations will lead to peace, and most prefer that the present situation continue. The right wing enjoyed a clear majority of support among the young people surveyed. Among Jews, the numbers stood at 57 percent and 66 percent for the two age groups respectively, while those who said they considered themselves to be left wing made up only 13 percent and 10 percent of those respondents. The support for the right rose overall from 48 percent to 62 percent during the study's 12-year period, while support for the left fell from 32 percent to 12 percent. Israeli intelligence has quietly mapped out what military officials describe as roughly 1,000 underground bunkers and hidden weapons storage facilities and monitoring sites built by Hezbollah in south Lebanon. 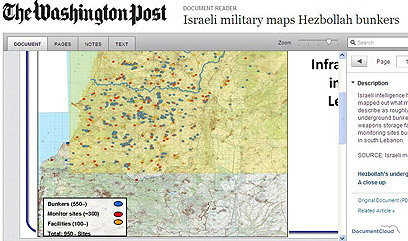 Most of the sites marked on the map, which appeared in the American newspaper on Wednesday, are located south of the Litani River. Ten arms caches are marked on another map featuring an aerial view of the Al Khiyam village in south Lebanon. The weapons storage facilities are located in close proximity to medical centers and schools. According to the map, one of Hezbollah's bunkers is located in a mosque. 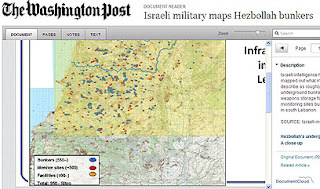 "In releasing the map, the Israeli military appeared to be trying to preempt international criticism of any future offensive against the alleged sites, many of which are located in residential villages alongside hospitals, schools and even civilian homes," the Post reported. (JTA) -- Rep. Michael Grimm became the first Republican in the U.S. House of Representatives to back the latest push for clemency for Jonathan Pollard. Grimm, a freshman from Staten Island, N.Y., says in a YouTube clip posted Tuesday by a supporter of the convicted spy for Israel that he visited Pollard at his North Carolina prison two weeks ago. "As a former FBI agent, someone who has fought for justice most of my life, we have to acknowledge that the penalty does not necessarily meet the crime and most would say that it's excessive, I am working with many others in Washington, we are doing what we can to have justice prevail, and justice in the case is to have Jonathan Pollard released from prison." The most recent push for clemency has garnered substantive support among congressional Democrats, and a range of former officials of both Republican and Democratic administrations, but a major stumbling block is believed to be the reluctance of sitting GOP lawmakers -- heeding a hard-line national security base -- to endorse clemency. (IMRA via Justice4JPnews).Assemblyman Dov Hikind (D-Brooklyn), in conjunction with New York State Assembly Speaker Sheldon Silver and 100 of their legislative colleagues representing areas throughout New York State, have affixed their signatures to a letter sent to President Obama beseeching him for a pardon for Jonathan Pollard. Pollard was a civilian American Naval intelligence analyst who discovered that information vital to Israel's security was being deliberately withheld by the United States in the mid-1980's. Based on a 1983 Memorandum of Understanding between the two countries, Israel was legally entitled to have this intelligence which concerned Syrian, Iraqi, Libyan and Iranian nuclear, chemical, and biological warfare capabilities being developed for use against Israel. directly. In 1985, his actions were discovered by the United States government. He was indicted on only one count of passing classified information to an ally, without intent to harm the United States. Pollard never had a trial. He received a life sentence and a recommendation that he never be paroled. Prime Minister Benjamin Netanyahu on Wednesday called allegations that some of his travels outside the country were funded by private businessmen part of an "orchestrated and organized slander campaign" against him. The remarks, in which Netanyahu responded publicly for the first time to reports by Channel 10 about the funding sources for the his overseas trips, were made in an interview that was broadcast on Channel Two and on YouTube. "It's infected by hypocrisy, because every year there are hundreds of trips by members of Knesset, ministers and former prime ministers. There is a standard for trips. The standard for previous prime ministers and previous presidents is acceptable, and is no different from Clinton or Blair,Others did not fly charter or stay at youth hostels." "I was not invited by donors or private individuals. It's all distorted". "Why? You don't fly to a private function, you fly to public functions by groups that want to help Israel, or the poor, or immigrants. It's not for private use. These are not private trips, Who will pay for them? Donors. Who funds the Association for the Wellbeing of Israel's Soldiers? Donors." "The truth will come out, You cannot hold me to a double-standard. Everyone traveled with their wives. The worst part is that in order to harm me, they automatically aim for my wife, threateningly and unfairly." "We're talking about all kinds of stories, most of them baseless and contaminated by hypocrisy. There are journalists that do not like that I am prime minister and are trying in their way to change that". "I want to let those journalists know: It won't help you any, it's malicious and its hypocritical and I will be here for many years and I won't change my positions, and I will continue to lead the country.". Netanyahu answers questions on YouTube interview -"Israel want to see the Triumph of Democracy"
The questions, published ahead of time, included his handling of the prisoner swap negotiations for abducted Israeli soldier Gilad Shalit, the impasse in negotiations with the Palestinians, Israel's West Bank settlement building and the recent upheavals in the Middle East. "We understand the importance of new media in the modern world - it allows the prime minister to speak to the people without filters, so that people can ask him question without filters," said spokesman Mark Regev. "But I don't think that it has to come at the expense of the traditional media." In wake of Itamar massacre and terrorist bombing of Jerusalem bus, 27 US senators, today sent a bipartisan letter to U.S. Secretary of State Hillary Clinton asking her to identify specific steps the administration is taking to press the Palestinian Authority (PA) to end dangerous incitement against Jews and Israel. In the wake of this month's brutal terrorist murders of a Jewish family in Itamar and the terrorist bombing of a civilian bus in Jerusalem, we are writing with serious concern over continuing incitement directed against Jews and Israel within the Palestinian media, mosques and schools, and even by individuals or institutions affiliated with the Palestinian Authority (PA). We would like to know what specific steps you are taking to press for an end to this dangerous incitement. Palestinian incitement includes the glorification of terrorists and jihad, and anti-Semitic stereotypes in the Palestinian media. There are a number of examples of Palestinian incitement over the last year listed in an index established by the Israeli prime minister's office. On March 9, 2011, PA President Mahmoud Abbas' advisor, Sabri Saidam, delivered a speech in which he emphasized that Palestinian weapons must be turned towards Israel. Saidam reportedly demanded that the Palestinian people be attentive to the living conditions of martyrs' families and said that the anniversary of the death of Dalal Mughrabi (one of the perpetrators of a 1978 coastal highway massacre) should be marked by inaugurating a square in her name in the city of El-Bireh. On Feb. 9, 2011, the official Palestinian television station broadcast a clip from a campaign entitled "Women as Exemplars," during which Dalal Mughrabi (see above) was extolled. In the summer of 2010, several children's summer camps were named after her. On Jan. 24, 2011, the governor of Jenin issued a presidential grant worth $2,000 to the family of a Palestinian terrorist, Khaldoun Samoudi, who was killed while trying to detonate two bombs against Israeli soldiers at the Beka'ot Crossing. On Jan. 2, 2011, Al Hayat Al-Jadida reported that Azzam Al-Ahmed, a member of the Fatah Central Committee, attended a gathering on the 46th anniversary of the establishment of Fatah during which models of settlement buildings were blown up. He reportedly reviewed terrorist attacks perpetrated by Fatah and said that, "Fatah is a mass movement which believed in popular revolution and wrested its right to use all means of resistance in order to achieve its aim." Although President Abbas has expressed his sorrow over the Itamar massacre, the Palestinian Authority must take unequivocal steps to condemn the incident and stop allowing the incitement that leads to such crimes. Educating people toward peace is critical to establishing the conditions to a secure and lasting peace. The Itamar massacre was a sobering reminder that words matter, and that Palestinian incitement against Jews and Israel can lead to violence and terror. We urge you to redouble your efforts to impress upon the Palestinian leadership that continuing to condone incitement is not tolerable. We also urge you to consider focusing adequate training and educational programs in the West Bank and Gaza that promote peaceful coexistence with Israel. Glenn makes a compelling argument, noting that Israel is the only country in the Middle East that shares American values. They are constantly provoked and attacked, yet despite having a heavy nuclear arsenal they have not launched a single one. In Israel, unlike most other Middle Eastern countries, women are treated equally and people aren’t stoned for their sexual orientation. Nevertheless, the United States has – at it’s best – remained silent. But as Glenn also noted, there are those high up in the administration that would argue against Israel, such as Samantha Power (Mrs. Cass Sunstein), who has argued that the United States should shift their support from Israel and focus on the creation of a Palestinian State. They use the doctrine of a “Responsibility to Protect” to say the US and its allies should move against Israel in support of the Palestinian State, the same doctrine that President Obama used to move against Libya without congressional approval. In a heated debate on CNN’s “Piers Morgan Tonight,” which also included former New Mexico Gov. Bill Richardson, Trump said calling the Libyan opposition “rebels” might be romanticizing a group of insurgents that no one knows anything about. “I do really want to know who these people we’re fighting for — who they are. They call them the ‘rebels’ like they’re these wonderful guys, But I hear they are aligned with Iran — I hear they may be aligned with al-Qaida". “To be honest, wouldn’t that be really very, very sad if we’re bombing all of these tanks, killing all of these people . . . and Iran ends up taking over Libya? It makes no sense whatsoever — I think he's a little afraid of Congress — frankly, he doesn’t want to go in too strongly, because they’ll say that that he broke constitutional law and [then] he’s got himself some problems". Richardson said although U.S. intervention in Libya is not ideal, the alternative of Gadhafi remaining in power is infinitely worse. Morgan asked Richardson how Israel should react to what is happening in Libya, the turmoil in the Middle East — and particularly the unrest that has spread to Syria. “Look, Piers, if I'm Israel today, I am concerned. The neighborhood is not very friendly — and our commitment to Israel should remain unshaken. And we have to look at ways probably to strengthen the military relationship with Israel,But at the same time, I don’t think the Syrian situation is similar to what is happening in Libya — the carnage that is taking place there. (via INN). A new British group called "British Muslims for Israel" thinks calls for Israel's destruction are "nonsense" and condemn Hamas and Al-Aqsa Martyrs’ Brigade who are "determined to kill indiscriminately." "Israel is here to stay, It is a democracy, it is a place where people can live freely together, and it is exactly the sort of civic society and system that we should be replicating across the Middle East." (Globes).Prime Minister Benjamin Netanyahu today filed a lawsuit with the Jerusalem Magistrates Court against Hebrew daily "Ma'ariv" and Channel 10 News over the investigative report by Raviv Drucker about Netanyahu's donors in the Likud primaries in 2005. He is demanding NIS 1 million from each respondent. "The mention of the prime minister in the mendacious article is contemptuous and very hurtful. It creates a negative image and presents him as a criminal in a way that humiliates in the eyes of society and to make him a target of ridicule and mockery for alleged acts which have no factual basis." "Channel 10 and Drucker published the article maliciously and in bad faith, as part of a witch-hunt against Netanyahu. The blood of the prime minister will not be spilled with impunity. There is no place to allow a witch-hunt of the prime minister when there is not an iota of truth in the facts." The lawsuit for libel against "Ma'ariv" is based on the report, which Netanyahu claims "gives the reader the erroneous impression that the value of dinner eaten by Netanyahu and his wife is NIS 60,000, and that similar dinners were part of their supposedly 'spendthrift travels'." "Netanyahu and his wife never ate a dinner whose cost approaches the value stated in the article's headline and the impression obtained from reading the article and the subhead is erroneous and misleading." Prime Minister Benjamin Netanyahu addressed the Jewish National Fund Conference on Tuesday, In his speech at the KKL convention in Jerusalem Netanyahu stressed that the Palestinian Authority would have to "choose between the two, you can't have both. Choose peace with Israel, abandon the Hamas." "Now, we face other conflagrations and other convulsions. In fact, we're going through a period of turmoil that can only be called historic. It is akin to the great revolutions that have taken place in modern times, but the question is which revolution is it. Is it 1989 in Europe? Or is it 1979 in Tehran? Or is it 2005, the Cedar Revolution in Lebanon? Remember, there were great hopes. A million people went into the streets of Beirut. A million people. That's equivalent to 20 million Egyptians, it's a fourth of Lebanon's population, and there were great hopes for a modern, progressive, liberal and tolerant state, Lebanese state. Now, five years later, we find Hizbullah and Iran have taken over Lebanon. So which is it to be? Is it going to be 1989, the great revolution that unleashed the forces of liberalism and freedom in Central and Eastern Europe? Or will it be 1979, the revolution that brought the night of darkness, of Iranian militant Islamic darkness over the people of Tehran, and then their proxies elsewhere who deny freedom and trample human rights, trample the rights of women and hang gays in public squares. Which is to be? Well, that's not clear yet. We're still in the midst of things, and of course we know which outcome we want, but we can't be sure that we will have it. We can't be sure that we will have it because the traditions of liberal democracy have not been prevalent, to put it mildly, in the great swath of land from Afghanistan to Morocco. It's only been prevalent there in one place. You know which place that is. Right here, that's right, in Israel. There is no turbulence, there is no instability because we're a free, prosperous democratic country. But we're the only one. And so the turmoil and the convulsion hit everybody else, deprived of political and economic enfranchisement. The 20th century really skipped over the peoples of all these areas, this vast area, and now the 21st century information technology is telling all these people what they've missed out on. But can they cut the time? Can they shortcut the process to modernity and progress and pluralism? We don’t know. We hope so. Now, it seems to me that there are three things that we have to do. The first thing is to advance – as quickly as possible – economic progress in the pivotal countries. The two pivotal countries that I think are important are those that have created the anchor of peace in the heart of the Middle East, and that’s Egypt and Jordan. That means not giving out cash handouts. That’s not going to do it. It’s to build roads, electricity, sewage, communications, health clinics. These are the things that build up a society. And that’s the first thing that should be done. The second thing is to avoid the worst pitfall imaginable. Now, where did this convulsion begin? Can you tell me? In Tunisia? No, it didn’t. It didn’t begin in Tunis; it began a year and a half ago in Tehran. There the multitudes – just endless numbers of people – stormed the streets protesting, demanding freedom after a fake election, after the election was stolen from them. They wanted basic human rights; they wanted freedom from tyranny and from corruption. That’s where it began. Then it bounced to Tunis; and then it bounced to Egypt; and then it bounced to other parts: Yemen, Libya, Syria and so on, Bahrain. But it began in Tehran. What happened in Tehran is that the Ayatollah regime used brutal suppression to squelch the protests. The same is true of its proxies in Lebanon and in Gaza. They use brutal powers to squelch protest, to prevent it from materializing or expanding. So what is happening, what could happen, is that all the other countries are going through this process of turmoil and change, but the one stable power will be the place where it all began, which is meddling in all the other places, because that is what Tehran is doing now. One of the things that we have to assure is that Iran is not immune to the international pressures for change, and that could be done more effectively by still stronger sanctions, and especially those measures that prevent the worst outcome of all – a turbulent, unstable Middle East, an Iran that exports revolutions and subversion, seeking to form militant Islamic regimes in all these countries, or in as many as they can. That’s what they’re doing. But the worst outcome of all is that Iran would be doing this with a nuclear umbrella, with nuclear weapons. So the second thing that has to be done is to put maximum pressure on the main engine that drives Islamic militancy in this region, and that is pressure on Iran, and above all, to prevent it from acquiring nuclear weapons. That should be a main goal for all civilized society. Now, the third thing is the pursuit of peace, which means first of all, strengthening the peace between Israel and its neighbors, the existing peace treaties – the peace treaty with Egypt, the peace treaty with Jordan. The first order of peace-making is to make sure that the existing peace treaties are safeguarded. I think the international community should be very clear to the new government of Egypt that it expects all future governments to abide by the peace treaty. It’s been the anchor of stability. It’s been the anchor of peace, really, in the Middle East for more than three decades. No people is more grateful for it that the people of Israel. I’m very grateful for it because I remember as a soldier what it was like to fight along the Suez Canal, in fact to fight inside the Suez Canal. They’re still looking for the person who was foolish enough to drag me out the canal in the middle of a firefight. We remember what war was like. I remember it, and it’s not something we want to come back to. But two-thirds of Egypt’s population today is young enough not to have experienced war, not to know the horrors of war and the blessings of peace. I remember what it was like to fight along the Jordan Valley, on both sides of that divide. I remember very well, and we lost good friends on both sides, on both fronts. Those two war fronts have been converted to two peace fronts, so the first order of the day is to make sure in peace-making to secure, stabilize, cement the two existing peace treaties – the peace treaty with Egypt and the peace treaty with Jordan. The second order of the day is to advance the peace with the Palestinians. What is it that we must do to advance that peace in light of what is happening? I think the first recognition is to understand that in shifting sands and moving grounds, we have to ensure security more than ever. This is a prerequisite. You cannot have peace without security at any time in this neighborhood, but especially in these times. You must anchor the peace and security. That means that we have to assure that Iran does not penetrate into areas that we are asked to vacate a third time. It happened to us the first time in Lebanon. It happened to us the second time in Gaza. It cannot happen a third time. We left every square inch of Lebanon – Iran walked in with its proxy Hizbullah and fired thousands of rockets into Israel. We left every square inch of Gaza – Iran walked in with its proxy Hamas and fired thousands of rockets into Israel. We can’t afford to have it happen a third time. Under any arrangement for peace, Israel must retain a long-term military presence along the Jordan River. There are other security arrangements that we need – I won’t go into detail here, but I will say this: we need them to protect the peace and we need them to protect Israel if peace unravels. This is something that I said before this convulsion, and people looked at me and they said: “Wait a minute. If you have a peace treaty, if you have a piece of paper, that will protect the peace”. No, it won’t. What protects the peace in this part of the world is security. The only peace that holds is a peace you can defend. A peace you cannot defend will not last two days. We’ll be left without peace and without security. This is, I think, the most important lesson that we can glean from the ongoing events. We cannot stick our head in the sand. We cannot say, let’s just get an agreement at any price, and skip the details. No, we cannot skip the details. The most important detail, the most important principle, the first principle is security. We will never compromise on Israel’s security. Here’s the second principle for peace with the Palestinians: its recognition, mutual recognition. Yes, we expect the Palestinians to recognize the Jewish state of Israel, the nation-state of the Jewish people. After all, we’ve been around here for a long time, close to 4,000 years. We have an intense connection to this land. We’ve been here. We’re not strange interlopers. We’re not Crusaders or neo-crusaders. This is our home. We’re prepared to make peace with our Palestinian neighbors, but we expect them to recognize the fact that we’ve been here for thousands of years, and that every Jew has a right to come to the Jewish state, just as Palestinians could go to the Palestinian state, the demilitarized state. This is something we expect, rightfully so. This is something the international community should demand, rightfully so. And yet we haven’t seen this readiness to come forward and say something so simple: “Yes, we recognize the Jewish state”. The Palestinians are loath to do that. I’m not talking about Hamas that openly declares its intention to wipe us off the map. I’m talking about the Palestinian Authority. But here’s something equally troubling: we hear in recent days that that Palestinian Authority is thinking of uniting with Hamas. It’s thinking of effecting peace not with Israel, but with Hamas. Well, I say to them something very simple: you can’t have peace with Israel and Hamas. It’s one or the other, but not both. Choose peace with Israel. Abandon unity with Hamas because Hamas is the antithesis of peace. Hamas doesn’t recognize the State of Israel. Hamas calls for the liquidation of Israel. Hamas is firing rockets as we speak, or at least in the last two weeks, on Israel’s cities. This is criminal, terrorist action. And they don’t deny what they seek to do: to kill as many Israelis as possible, to get more and more weapons to kill even more Israelis, ultimately to kill the State of Israel itself. The Palestinian Authority must choose: it’s either Israel or Hamas, but you can’t have both. We want a genuine peace. We want peace with security. We want peace with recognition. We think this is the way to go. These are the three things that the international community should subscribe to. It should have a Marshall Plan for the most needy and most important Arab economies; it should do its utmost to make sure that this great revolution does not pass over Iran and, of course, it must do everything in its power to prevent Iran from developing nuclear weapons; and third, it must support a peace based on security and recognition with Israel. It should call for the PA to enter negotiations with Israel and not with Hamas". (Piers Morgan blogs on dailymail.co.uk). "I’ve flown to Jerusalem for a world-exclusive interview with Israeli Prime Minister Benjamin Netanyahu – the first he’s given since the Middle East uprisings began in Tunisia back in December. I’ve never been to Israel before and was taken aback by the extraordinary natural beauty of the place. I was also surprised to stop at a café and see it full of Arabs and Jews eating side by side quite happily. ‘We don’t all hate each other,’ said my driver. I went to a hilltop to film a piece for tonight’s show, and saw how close Jerusalem is to Ramallah, the centre for the Palestinians. Only a giant security block separates the two sides. It reminded me of the Northern Ireland conflict: warring neighbours parted by a bit of barbed wire but decades of bitter fighting. Because of the time difference with New York, I had to go live for CNN from my hotel balcony at 3am in Jerusalem, with the twinkling lights of the ancient walled city behind me. An extraordinary, almost mystical experience. The interview with Prime Minister Netanyahu was a fascinating encounter, conducted at his private residence in Jerusalem, surrounded – as you can imagine – by incredibly tight security. The Prime Minister was intelligent, articulate and charming. But he’s also a ferociously tough politician, and I knew – with the world watching – that I couldn’t give him an easy ride. At one point he asked me directly what I would do to secure a settlement, clearly expecting me not to answer. ‘You really want to know?’ I replied. He looked at me hard, then smiled. ‘I’m pretty big,’ he said. Ironically, with so much upheaval elsewhere in the region, there’s probably never been a better time for the Israelis and Palestinians to strike a two-state deal. But these things only happen when big leaders take big steps. I might be completely wrong about this, but I got the sense that Netanyahu realises this might be the moment to put his large hand on history..."
(Jpost).If the Quartet feels obligated to propose outlines of a final Israeli-Palestinian settlement at the end of its upcoming meeting, it needs to take into account Israeli demands, not only Palestinian ones, government sources said this week amid speculation the Quartet may delineate how it sees a final settlement. Britain, France and Germany have reportedly been urging the EU and the UN to propose a statement that would say that a future agreement would be based upon the 1967 lines "with agreed upon land swaps," and reach a "just fair and agreed solution to the refugee question." Israeli officials have recently articulated frustration that some inside the EU are interested in the Quartet issuing a statement mentioning the "1967 lines with agreed upon land swaps," while ignoring Israeli demands, such as that any future Palestinian state needed to be "demilitarized," and that the Palestinians must recognize Israel as the nation state of the Jewish people. "Why get specific on the issue of borders, but not on anything else?" one official asked. The idea of the Quartet presenting what it sees as the parameters of a future solution is viewed by some in Jerusalem as an attempt to show the Palestinians an "end game," so they might overcome their objections to negotiating with Prime Minister Benjamin Netanyahu until he stops all settlement construction, including in Jerusalem. Israeli officials, however, doubt this tactic will work, and that if the Palestinians see that they can get benefits from the international community as a result of refusing to engage with Israel, they will continue to refuse to negotiate, believing this will bring them even more. They also say that this creates the "illusion" that the international community can deliver a peace agreement while avoiding Israel, something one official characterized as a "mirage." The Palestinians will only return to the table, the official said, if the international community makes clear that the Palestinians will get nothing without returning to talks. The Quartet is expected to meet in mid-April at the most senior level – US Secretary of State Hilary Clinton, EU foreign policy chief Catherin Ashton, Russian Foreign Minister Sergei Lavrov, UN Secretary General Ban Ki-moon and Blair. No date or venue has yet been set, leading to some doubt in Jerusalem about whether the meeting – at a time when the world's attention is focused on other nations in the region – will even take place. (CBNNews).Vice prime minister Moshe Ya'alon tells Erick Stakelbeck said the Palestinian Authority's media and educational system contributed to the killing of five members of an Israeli family earlier this month. Moshe Ya'alon told CBN News that the recent murders of Udi and Ruth Fogel and three of their young children by Palestinian terrorists are the result of daily anti-Semitic indoctrination by President Mahmoud Abbas's Palestinian Authority. "If this young generation is educated to deny any linkage between the Jewish people and the land of Israel, and you don't have the right to have a Jewish state, this is the outcome" . "The outcome of hatred, incitement -- it should be changed. And so they are responsible for this attack as well, They can't deny responsibility." Netanyahu: If Rocket attacks continue, "there will be an even more painful military retaliation"
Prime minister Netanyahu warned on Monday Gaza militants of a military retaliation if they resume firing rockets at southern Israeli communities. Netanyahu spoke at a meeting Monday of his Likud party, after two days of relative quiet along the border with the Palestinian coastal strip. "It must be clear that Israel will not tolerate a drizzle of rockets and missiles on its cities". "If the rocket attacks continue, there will be an even more painful military retaliation." CBN News has obtained a video produced by the Iranian regime that says all the signs are moving into place, that the current unrest in the Middle East is a signal that the Mahdi--or Islamic messiah--is about to appear. It's called The Coming is Near and it describes current events in the Middle East as a prelude to the arrival of the mythical tweflth Imam or Mahdi -- the messiah figure who Islamic scriptures say will lead the armies of Islam to victory over all non-Muslims in the last days. "This video has been produced by a group called the Conductors of the Coming, in connection with the Basiji -- the Iranian paramilitary force, and in collaboration with the Iranian president's office," said Reza Kahlil, a former member of Iran's Revolutionary Guards who shared the video with CBN News. "Just a few weeks ago, Ahmadenijad's office screened this movie with much excitement for the clerics,The target audience is Muslims in the Middle East and around the world." The video claims that Iran is destined to rise as a great power in the last days to help defeat America and Israel and usher in the return of the Mahdi. And it makes clear the Iranians believe that time is fast approaching. "I think it's a very grave development," Mideast expert Joel Rosenberg, author of The Twelfth Imam, told CBN News, "because it gives you a window into the thinking of the Iranian leadership: that they believe the time for war with Israel may be even sooner than others had imagined." Kahlili says The Coming is Near will soon be distributed by the Iranian regime throughout the Middle East. He explained their goal to instigate further uprisings in Arab countries. Hundreds at NY rally - "We Stand With Israel Against Islamic Terror"
Over 200 people attended sunday the rally in support of Israel's right to protect its citizens against Arab terror, sponsored by a host of Jewish organizations, Israeli flags and posters declaring support for Israel were held high to cheers, well-wishers, and supportive honking of automobile horns from many passersby headed down 2nd. Ave. The group was led by Rabbi Avi Weiss and joined by the mayor of Itamar, Rabbi Moshe Goldsmith, and his wife Leah. Main rally organizer Hillary Markowitz of Amcha named those injured in the recent Jerusalem bus station attack, and asked, "Where is the outrage? Where is the outcry? Where is President Obama? ... We are here to say that the Jews will stay in Israel. And that we will not sit by quietly!" “We are at war when people come on Shabbat to slaughter men, women, and children. President Obama has asked the Israeli government to remove the soldiers from the Tapuach junction near us, which protected the Jerusalem-Shechem road. So you got the butchering of a family, then a bombing at a bus stop because the White House thinks that soldiers checking Arabs is a human rights violation." "Israel wants real peace. You must be a real partner. Don't speak with a forked tongue; one way to the western media, and one way to your own people." Rabbi Weiss demanded the PA "stop hate in the media." "When US officials speak about the illegality of settlements before negotiating, these kind of statements contribute in their own way to this kind of crime. If you strengthen Israel, you strengthen America. If you weaken Israel, you weaken America." “Israel needs every Jew to stand with us. We have for a long time given our lives to build Itamar. The entire world knows G-d gave the land to the Jewish people. The deed to the land is in the Bible... For the sake of Zion, we shall not be silent. For every attack, we will build". What other country has to put up with situation like this?...How much longer must Israeli's suffer? Where is the UN Human rights, what about Israeli Human rights?" Rabbi Weiss led the group in the singing of the popular tune “Lema’an Achai,” whose words mean, “For the sake of my brethren and my friends, I shall speak of peace in your midst” (Psalms 122:7-9). "Israel has had 1,200 victims of terror attacks since the year 2000...That would be an equivalent of 50,297 Americans, proportionately, During that same period, there have been 8,342 Israelis wounded from terror attacks. By American standards - that would mean roughly 350,000 wounded." (David Rosenberg-Themedialine.org).Two years into office is about the time most Israeli governments are fraying at the edges if not already teetering at collapse. But as Netanyahu readies to mark the second anniversary of his government this Thursday, the prime minister’s position looks as strong as ever, analysts and opinion surveys say. A survey by the Dialog Institute for the daily newspaper Ha’aretz published at the end of last week showed that Netanyahu remains the leader of choice for most Israelis, besting his closest rival, Tzipi Livni, chairwoman of the opposition Kadima Party, by nine percentage points. The poll found Netanyahu’s Likud Party running neck-and-neck with Kadima in the Knesset, each receiving 31 seats. But the Likud has a wider choice of likely coalition partners and in an election draw would probably be called on to form the government, as happened in 2008 when Kadima was the biggest vote-getter. Together with religious parties and those of the right, the Likud could garner a 68-seat majority in the Knesset. Israel isn’t scheduled to hold elections until 2012, but governments typically fall long before their term is over, with the average life expectancy at about 23 months. Netanyahu has also presided over a period of relative peace and prosperity. The economy sailed through the global financial crisis with virtually no turbulence. Tensions on its border with Lebanon and Gaza haven’t boiled over into war. And, while Israel suffered two terror attacks in the past two weeks, violence remains very low. The greatest crisis Netanyahu has to deal with in his first two years was with the U.S., said Dan Schueftan, director of the National Security Studies Center at Haifa University. Ultimately, the prime minister resisted U.S. demands for a lengthy suspension of settlement construction, but the victory came at great cost to relations between Israel and its most important ally. But Netanyahu faces critical challenges ahead that could rapidly reverse the period of prosperity and relative peace the country has enjoyed since he took office. Turmoil in the Middle East has undermined allies like Egypt and Jordan. Trouble even among traditional foes, like Syria, could boomerang on Israel in unexpected ways, heightening the risk of conflict or putting into power even more hostile regimes. Recent terror attacks may portend a surge in Palestinian unrest. Domestically, Israel’s economy is at risk to a global downturn spurred by higher energy prices and Japan’s woes. While Netanyahu’s government is perceived by many abroad as right-wing and hawkish, in Israel Netanyahu succeeded in capturing then political center, analysts said. Netanyahu publicly accepted the idea of Palestinian statehood early in his government and agreed to a one-month settlement freeze, two moves that have distanced him from Israel’s right, Diskin said. That has cost him some votes, which have drifted to Yisrael Beiteinu, but has almost certainly brought in others, Diskin said. Indeed, in spite of his foot-dragging on peace, Netanyahu probably does accept the need of reaching a peace agreement with the Palestinians as does the majority of the Israeli public. Nevertheless, the Israeli voter isn’t particularly enamored of either Netanyahu or his government. While he outscores Livni on suitability as a prime minster, only 44% told Dialog they felt that way about him. Only 39% said they were satisfied with his performance. “This is a government that is neither hated nor loved. Both parts of the public [the left and the right] see the glass half empty,” Verter writes. (Jackson Diehl, WashingtonPost).So far what some are calling the Arab Spring has brought Israel the first terrorist bombing in Jerusalem in seven years and the first significant missile attacks from the Gaza Strip in two years. And that, for the government of Binyamin Netanyahu, is likely to be the easy part. (dover.idf.il). At the cabinet meeting on Sunday morning (Mar. 27), Defense Minister Ehud Barak reviewed for other government ministers the security situation in the Gaza Strip in recent weeks. Barak noted that the IDF is routinely and continuously carrying out operations in Gaza against explosive devices planted along the border and attempts by terrorists in Gaza to launch rockets into Israel. "In the past ten days, terrorist organizations in Gaza have suffered serious blows, In our territory, in the communities adjacent to Gaza and in the south, more than 100 rockets and mortar shells fell, fortunately causing no fatalities. Three civilians were injured and a number of buildings were damaged." "Israel will not accept [the mortar and rocket attacks] and we will continue to act to thwart them in every way required. This morning, we hit a cell that was preparing to launch [a projectile] towards Israel. We have no intention to escalate the situation and it is important to maintain the daily routine of life." IDF attacks rocket launchers; Netanyahu:Israel "will not tolerate an attack on its civilians"
Israeli aircraft attacked a rocket-launching cell in north Gaza Sunday morning. The army said forces identified a hit. According to sources in the Hamas-ruled territory, two Palestinians were killed and three others were wounded in the strike, one of them seriously.The sources said the terrorists were travelling in the Jabaliya area when a missile fired from an Israeli warplane struck their vehicle. The IDF said they were making their way from Beit Hanoun, located in the northeastern part of the Strip, to Gaza City. Islamic Jihad said those killed in the strike were members of its armed wing, the Al-Quds Brigades. "During these two years, we adopted a policy of systematic and consistent responses to any attack against Israel. In the last two weeks, various elements have tried to violate the quiet and the security to which we have become accustomed in the last two years. Naturally, we are interested in quiet and security. While we have no interest in escalating the situation, we will not hesitate to use the might of the IDF against anyone who attacks our people. We will not countenance attacks on our citizens. This is the policy of the Government of Israel. This is the policy of every government and of every country, which have the right and the obligation to defend their citizens". The majority of Israelis believe that the US Jewish community is vital to their country’s security and political existence, a Teleseker poll carried out last week on behalf of the Israel and Boston-based Ruderman Family Foundation has revealed. The Ruderman Fellows Program, is a new initiative designed to educate members of the Israeli Knesset about the American Jewish community. The first Fellows Program will be held in Boston and New York between April 3 and 8. The participants in the first round of the program are MK Avi Dichter (Kadima), MK Ronit Tirosh (Kadima), MK Tzipi Hotovely (Likud), MK Carmel Shama (Likud), Eitan Cabel (Labor), and MK Daniel Ben Simon (Labor). The survey by Teleseker found an overwhelming 87 percent of respondents answering "very important" and "quite important" to the question: "How important is the American Jewish community to Israel’s security and political existence?". A majority of 73% said they believed that Israelis could learn a lot from the religious pluralism practiced in the American Jewish community, even though streams of Judaism alternative to the orthodox are not officially recognized in Israel. Ambassador Michael Oren told Adrienne Alpert on LA local ABC channel, that him having an American background comes in handy to explain the United States to Israel ,and Israel to Americans. VP Moshe Ya'alon tells Erick Stakelbeck in an exclusive interview to be aired on Monday night on CNBnews.com, That the Israeli government believes that "behind the scenes, Iran is involved" and has given its terrorist proxies, like Hamas, the green light to intensify attacks against Israel. (Aluf Benn -Haaretz).The Grad missiles fired from Gaza at Be'er Sheva and Ashdod present Prime Minister Benjamin Netanyahu with the toughest test of his term so far. The prime minister said he would be "strong in the face of Hamas." Now, the time has come to make good. Netanyahu's response to the murders in Itamar, accusing the Palestinian Authority of incitement and speaking of building hundreds of apartments in settlements, was intended to calm his power base on the right and satisfy the settlers so they would not take revenge. But when it comes to Gaza, Netanyahu is doing the same thing his predecessors did. However, the diplomatic environment is more complicated than on the eve of Operation Cast Lead. U.S. President Barack Obama will not be enthusiastic over an Israeli operation with numerous casualties, destruction and a besieged Gaza. Egypt is in a period of political transformation, and governments of Arab countries are in danger of collapse, which would make it difficult for them to support a major Israeli campaign against Hamas. The moral line set by the war in Libya is clear. Attacks from the air are allowed, but no boots on the ground and no occupation. Netanyahu will certainly try not to exceed this pattern in dealing with Gaza. The political implications of escalation are also complex. Terror strengthens the right and hurts the left. But the right is split now between Netanyahu, who speaks of "resoluteness" alongside "responsibility and wisdom," and Lieberman, who as foreign minister can talk a great deal without responsibility for implementation. Israeli hesitation in the face of continued fire from Gaza will strengthen Lieberman. An effective response against Hamas will help Netanyahu but only if it is short and surprising, the right mixture of military action and diplomacy. Netanyahu's test will be to find this middle way. (Via Yossi Verter-Haaretz).On March 31, Netanyahu's government will have been in office for two years. What do we have in our inventory from those two years? One important speech, at Bar-Ilan University. One construction moratorium in the territories. A failed attempt to jump-start diplomatic negotiations. Lots of slipups and issues related to conduct, plus a problematic bureau. We didn't have a war, thank God. Hardly any terror attacks, until these last two weeks. We didn't have Grad missiles in Be'er Sheva and dozens of Qassams every day in the area of the Gaza envelope. Until this past week. According to the Haaretz-Dialog poll conducted this week, under the supervision of Prof. Camil Fuchs of the Tel Aviv University statistics department, this is a government that is neither hated nor loved. According to this week's poll, if elections were held today, Netanyahu would not have difficulty forming a new government, either with the right-wing-ultra-Orthodox bloc that still has the highest number of Knesset seats, or with Kadima and Labor. According to the survey, the right-wing bloc would garner 68 seats today, three more than in the current Knesset. The center-left bloc would lose three seats relative to its situation today - it would have only 52 seats, 10 belonging to the Arab factions. The current poll gives each of the parties Likud and Kadima 31 seats; both gain support relative to their size today. Kadima chair Tzipi Livni is also narrowing the gap with Netanyahu when it comes to suitability for being prime minister: He gets 44 percent support, she gets 35 percent, a gap of 9 percent. Two months ago, the gap between them was 17 percent: 48 percent for Netanyahu verses 31 percent for Livni. The poll also examined the status of the 10 cabinet ministers who by virtue of their positions have responsibility for the main areas of national life. Overall, the public gives positive grades to most of them. Here are the results, in descending order, reflecting the respondents' satisfaction with how well they function: In first place is Communications Minister Moshe Kahlon, with 58 percent, and after him comes Education Minister Gideon Sa'ar, with 51 percent - they are the only ones who crossed the 50-percent threshold. Following them are Public Security Minister Yitzhak Aharonovitch, 48 percent; Environmental Protection Minister Gilad Erdan, 46 percent; Transportation Minister Yisrael Katz; and Foreign Minister Avigdor Lieberman, at 41 percent - a considerable improvement in his status during the past two years. Following them are Netanyahu and his Interior Minister Eli Yishai, with 39 percent each; Finance Minister Yuval Steinitz, 38 percent; and Housing and Construction Minister Ariel Atias, 37 percent. And in last place on the list - guess who? Defense Minister Ehud Barak, "Mr. Security." Only 30 percent of the respondents express satisfaction today with his functioning. Israel is ready to act with full force to stop missile attacks launched from the Gaza Strip, Prime Minister Benjamin Netanyahu said on Friday. "We stand ready to act with great force and great determination to put a stop to it," Netanyahu told reporters before a meeting with US Defense Secretary Robert Gates. The prime minister said he had received a "very warm" phone call from US President Barack Obama on Thursday expressing his condolences over the latest attacks. "Any civilized society will not tolerate such wanton attacks on its civilians," he said. (Jpost).Amid the worst violence Israel has faced since he came to power two years ago, Prime Minister Netanyahu told Russian Journalists in Moscow Thursday that it was not clear whether Palestinian Authority President Mahmoud Abbas genuinely wanted to end the conflict with Israel. "Abu Mazen [Abbas] speaks pace to the world, but domestically there is incitement and education toward hate,And who do they blame? The settlers. That is not the problem; The first thing that needs to be discussed is the root of the problem: that the Palestinians don't recognize our existence alongside them." "It is nonsense to think that the major problem in the region was the construction of two homes on a street where 100 homes already exist...The settlement issue needs to be discussed and decisions made, But for that we need to sit and talk." Regarding Abbas, Netanyahu said it was quite possible the person Israel wanted to make peace with today, could disappear tomorrow. The Prime Minister also said it was not clear with whom Israel was supposed to reach an agreement. "The Palestinian population is divided into two, There are those who say openly they want to destroy Israel, and those who don' say that, but refuse to stand up against those who do say it." "No doubt that the Palestinian leader spoke here about peace. . He did the same in Brazil, and also on Channel 1 on Israeli television. But on Palestinian television , and in the Palestinian textbooks, he is not prepared to say that...It is time to tell that man, 'enough'". Referring to Wednesday's bomb attack in Jerusalem, Netanyahu told the Russian journalists that they know what terrorism is, because it has hit Russian theaters and airports. "We are talking about the same irrational Islamic radicalism," he said. He then told a story of the 4th grade classmate of one of his sons who was killed a few years ago in a terrorist attack in Jerusalem. On the same street where the family lived at the time -- Gaza Street – there were two attacks at around the same period, he said. "I told my children, you are not leaving the house, They replied, 'what, we are not going to live normal lives.' And I said that the reality was not normal. Then we built the security barrier to prevent the terrorists from blowing themselves up in our cites, and the Palestinians took us to the court in The Hague claiming we were carrying out war crimes. That is the crazy hypocrisy of the world." Obama calls Netanyahu to relay condolences and reaffirm unwavering commitment to Israel’s security. During meeting with Russian counterpart Vladmir Putin, US President Barack Obama phoned Netanyahu and condemned the attacks against Israel. Netanyahu said there is widespread international support for the war on terror which strengthens Israel. "President Obama called Israeli Prime Minister Netanyahu today to convey his condolences over the terrorist attack in Jerusalem yesterday, which killed one person and wounded many others, and to express his concern about the recent rocket and mortar attacks against Israel from Gaza. The President reaffirmed the United States’ unwavering commitment to Israel’s security. The Prime Minister expressed appreciation for the call and said that Israel would continue to update the United States on the investigation into the attack in Jerusalem. The leaders agreed to remain in close touch on a range of regional security issues". Prime Minister Benjamin Netanyahu said Thursday that if Hamas chooses to escalate cross-border tensions, Israel's reaction to the attacks will be measured. Netanyahu spoke during his visit in Moscow, and sources close to the prime minister said that he was not eager to launch a comprehensive operation in the Gaza Strip. Moreover, Netanyahu said that U.S. President Barack Obama called him on Thursday evening and complimented him for using relative restraint in Israel's attacks on the Gaza Strip. Obama also extended his condolences regarding the deadly bombing in Jerusalem on Wednesday and reaffirmed the U.S. commitment to Israel's security.